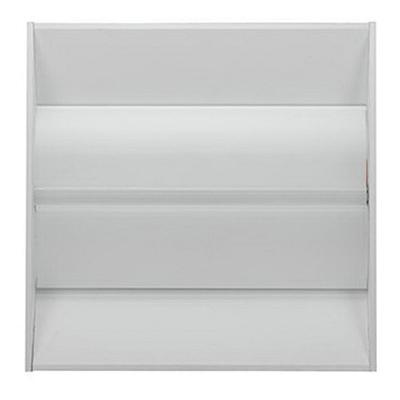 LG Electronics Performance troffer t-bar lay-in fixture features frost polymethyl methacrylate optical unit that ensures even light distribution. This fixture in square shape, uses 18-Watt LED lamp that has voltage rating of 120 - 277-Volts. Lamp has color rendering index of 82 and color temperature rating of 3500K to ensure optimal light level in the surrounding. Lamp offers 2350-Lumens of bright light output. It features 0 - 10-Volt ZigBee-ready dimming control. This fixture measures 24-Inch x 24-Inch x 2.8-Inch. It comes with 50000 hours of average life. It has high system efficacy up to 133 LPW and IP20 rated degree of protection. Fixture is cULus/UL listed and DLC certified.